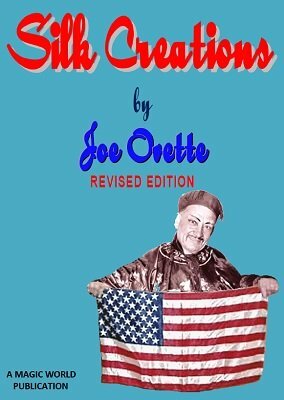 Stage magician Joe Ovette reveals the inner workings of his famous silk act in this 77-page ebook. You'll find productions, vanishes, color changes and more here. There's sure to be something here that you will use. Not content merely to divulge the methods of the individual effects, Ovette goes on to provide several professional secrets that are worth $20 each to any working pro. You'll find ways to double the size of your silk production without increasing to cost; how to remove wrinkles from your silks without using an iron; a do-it-yourself vanisher that's superior to ones you can buy; and we're only scartching the surface! 1st edition 1931 first edition, updated and corrected digital edition 2016, 77 pages.